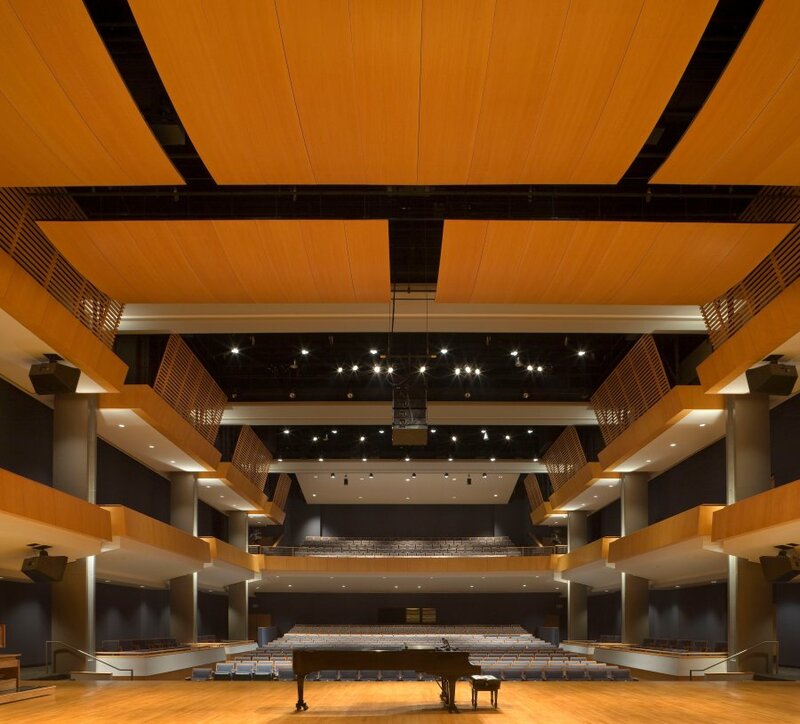 First opened in Fall 2010, The James & Nancy Gaertner Performing Arts Center encompasses more than 100,000 square feet and contains a concert hall (left) that seats 800, a state-of-the-art dance theatre that seats 160, and a separate recital hall that seats 175. 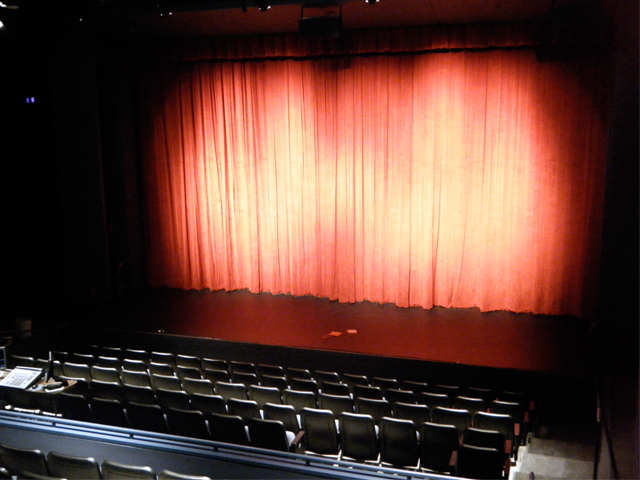 The dance theatre stage has six inches of cushioned flooring so dancers can leap, drop and spin with reduced impact and sound. The concert hall is gorgeously appointed with wood paneling and luxurious seating. The recording facilities in the concert hall include the finest digital equipment made. The acoustics can be customized to maximize the experience of each performance for the patrons. 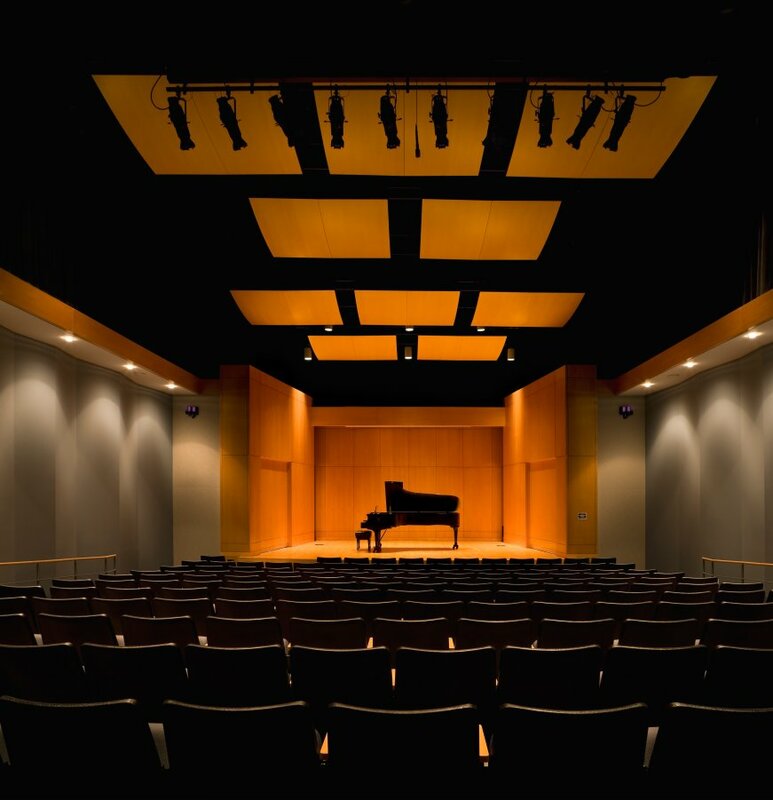 In addition to the concert halls, the Gaertner Performing Arts Center houses the office of the Dance program, the Dean's Suite as well as numerous faculty and staff offices. Students can practice, create and gather in four dance studios, three large rehearsal halls, dressing rooms, a green room, a VIP lounge, a student kitchen, a café, and a large and beautifully appointed lobby for pre- and post-show discussions. This central lobby showcases original public art by internationally known artists and sculptors. Seven installations were commissioned for the building, including a magnificent hanging sculpture by well-known artist James Surls--an internationally known artist who is also an alumnus of Sam Houston State, Kathleen Ash, Jason Lawson, Joe Akers, Rebecca Finley, Tim Prentice and Charles Pebworth with additional work by Jesús Morales. > Gaertner Performing Arts Center Ranked Among 'Most Amazing' in U.S.
Named for famous SHSU Mass Communications Alumnus, Dan Rather, this building houses two large television studios with state of the art newly installed lighting equipment, up-to-date camera equipment, class rooms, offices, a conference room, and is the home to the student run newspaper, The Houstonian, Channel 7 television and a fully equipped radio station. These provide our students with hands-on experiences making their transition to the professional world, seamless. In the planning stages is another bilingual radio station which will primarily be geared to our Hispanic population. The Priority I Public Relations Team operates from this building as a student agency with clients both on and off campus. 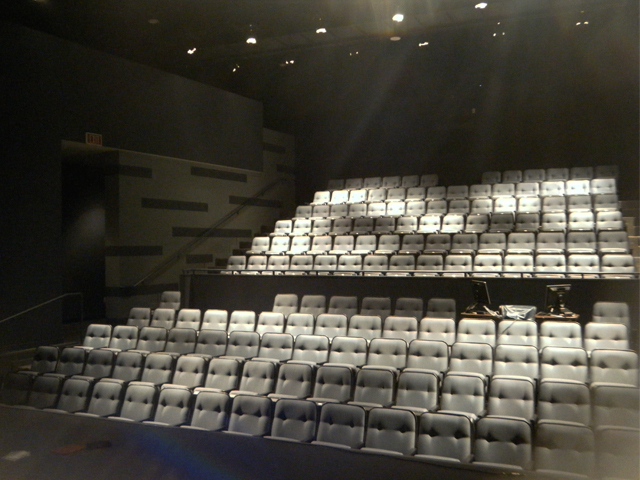 The University Theatre Center has two theaters; the Erica Starr Theatre seating 300 and the Showcase Theatre seating 90. Additionally, there are class rooms, design rooms, a scene shop, a paint shop, dressing rooms, rehearsal spaces, all housing the excitement produced with students presenting an ambitious season of performances for the public. The University Theatre is connected to the James and Nancy Gaertner Performing Arts Center by a skywalk way. Home to our outstanding School of Music, the Music Building has faculty offices, rehearsal rooms, practice rooms and spaces for the storing of our quality instruments. Although they call this building home, students from the School of Music have performed in China and all over Latin America and Puerto Rico. This building, too, is connected to the new Performing Arts Building by a walkway. 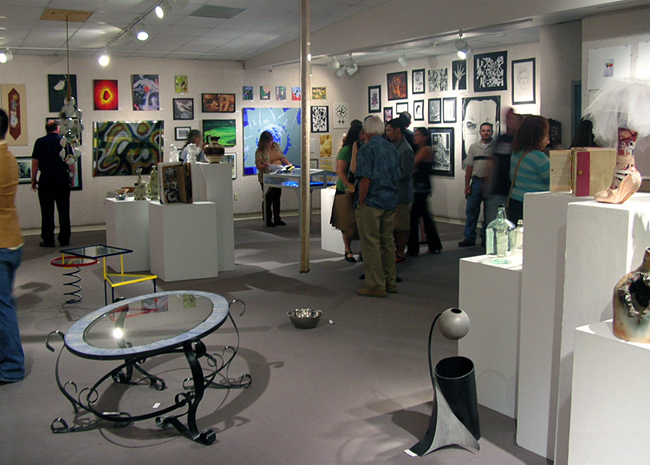 Across campus from the PAC on 21st Street, the Art Department maintains over 30,000 square feet of space devoted to studios, lecture halls and galleries including the WASH house, a studio building dedicated to the WASH program, the only art foundation program of its kind in Texas designed for first-year art majors. Studios in Painting, Sculpture, Ceramics, Printmaking and Photography maintain the best tools available for students to develop skills and express ideas and the digital labs maintain state of the art computer equipment for students in Graphics, Photography, Computer Animation and Studio.